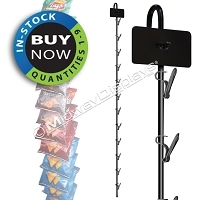 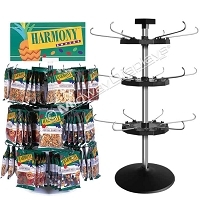 Present all your delicious salty snacks & sweets on a wide variety of displays from small counter top candy racks to large wire shelf merchandisers. 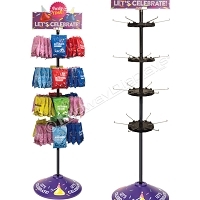 Midway Displays has candy racks aplenty to meet your display needs ranging from bulk candy racks to rotating counter top and floor racks. 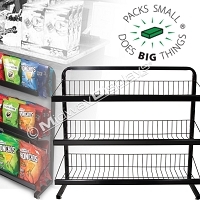 Achieve a greater piece of the candy/snack market share, and increase your brands success with Midway Displays collection of display racks. 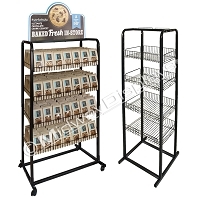 Looking for all-in-one merchandisers? 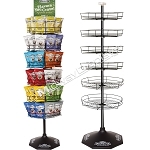 Our mix and match display components create a unique merchandising opportunity. 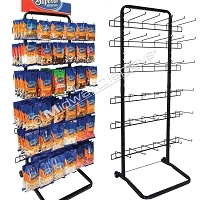 Base your choice of merchandiser by what type of products you plan to sell. 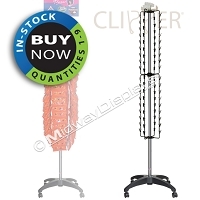 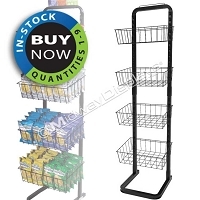 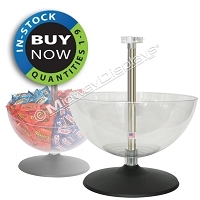 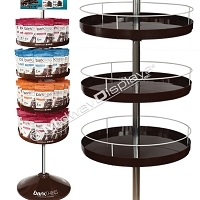 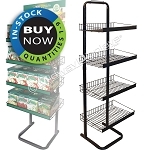 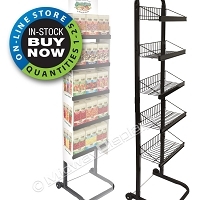 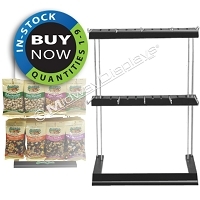 Do you need clipper snack racks, candy display bins, or a combination of components? 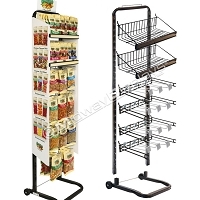 We have what you need to create your unique presentation for a variety of products all on one merchandiser.